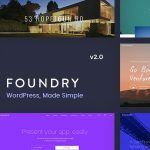 GridStack v1.3.0 is unique and modern portfolio theme for agencies, artists and freelancers. With extra wide and parallax-style media, it’s a perfect for showcasing photos, illustrations, videos and audio. 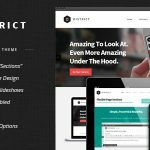 GridStack v1.3.0 Responsive Design – Automatically resizes to accommodate a variety of devices – computers, tablets and mobile phones. Ajax Dynamic Loading – GridStack v1.3.0 keeps your brand logo awareness onscreen and is SEO optimized, ensuring a consistent user experience while maintaining best practice SEO standards. Fix Updated themewich shortcodes to fix Chrome parallax issue. Fix Updated title tag for WordPress 4.4. Fix Updated deprecated widget code. Enhancement Added latin-ext to cyrillic option.